Samsung Electronics announced today that the new Facebook video app for TV is available on Samsung Smart TVs, including its 2017 QLED TV lineup and the app will be available on all of its 2015, 2016, 2017 Smart TV models. Further solidifying its role as the global leader in TV, Samsung is the only TV manufacturer that will support the app at its launch. The new Facebook video app for TV is a new way to enjoy Facebook videos on a bigger screen. Through the app, users can watch videos shared by friends or Pages they follow, top live videos from around the world, and recommended videos based on their interests. To access the app, users can simply log into their Samsung Smart Hub and download the application. Following a prompt for a one-time Facebook login, they can begin enjoying and discovering new content. Earlier this year, Samsung announced its elevated Smart TV offerings, which focus on a unified, simple user experience tailored to address consumer pain points. With the new features, users will be able to control all devices connected to their TV via one source, the Samsung One Remote. Additionally, users can now enjoy their favorite live TV programs and video-on-demand services directly on TV with a simple click on Smart View mobile app. This enhanced Smart Hub platform was rolled out on the company’s new QLED TV lineup at CES 2017. 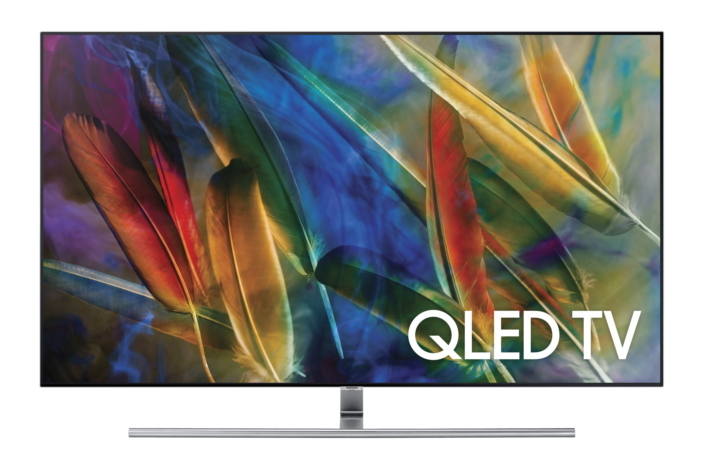 Among its many standout features, the QLED TV lineup includes dramatically revamped color performance, and was the first technology in the world to be verified by one of Europe’s largest technical-scientific associations Verband der Elektrotechnik (VDE) for reproducing 100% color volume.